We’ve actually won a game of football! It looked for all the world that it would be another dire performance and being one step closer to the R-word for Fulham as the half time whistle was blown and the players were booed off. I don’t know what Ranieri said to his players but it was a completely different performance in the second half and the first time in a long time that we’ve seen this Fulham team play with such passion and desire. All season long I’ve been thinking back to the game at the Amex in September when we let a 2-0 lead slip and dropped two precious points. 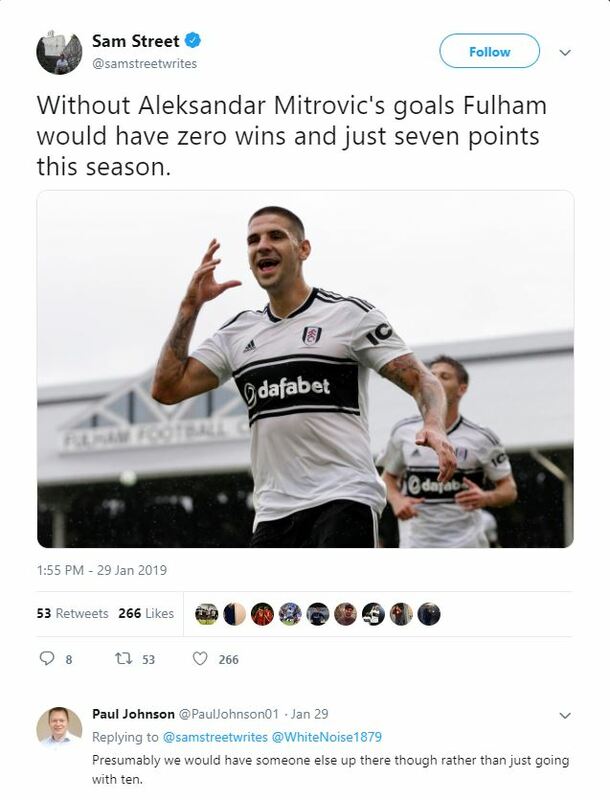 Mitrovic went from Hero to villain in that game conceding a late penalty so it was only fitting that he would fire us to three points in the reverse fixture. We gave away two really soft goals in the first half and really Glen Murray could have had a hat-trick. I think Ranieri got the tactics all wrong to start with. There’s no way we should have been playing with 5 at the back at home in a must-win game. The Tinkerman did what the Tinkerman does best and rectified the problem with the subs he made. 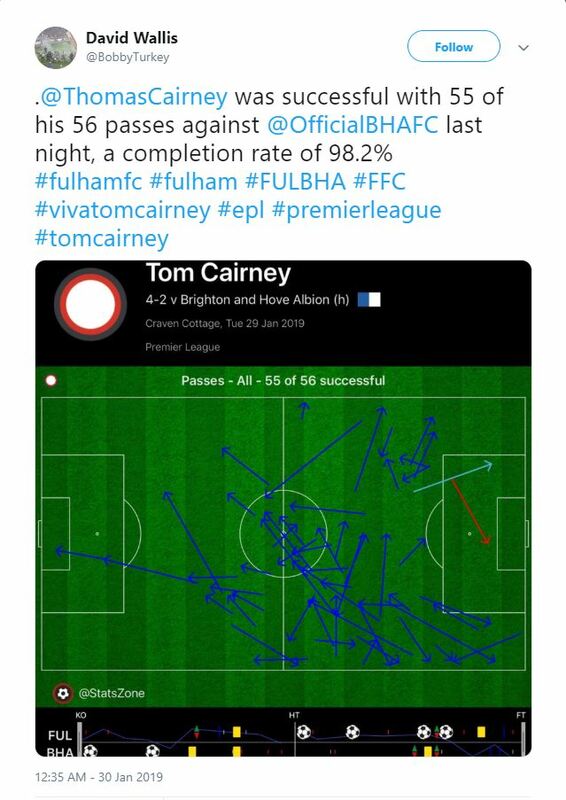 Tom Cairney was introduced in the 27th minute for Tim Ream and Fulham shifted to a back 4. Fulham were still playing long balls up to Mitrovic but there was no one up supporting him and it was easy for Brighton to mop up any danger. Thankfully Schurrle was hooked off for Vietto. The German attempted only 10 passes in the first half. His work rate has been really questionable and aside from a worldie every few games I don’t know what he does for the team. I wasn’t the only one who didn’t seem impressed with his performance. If the first half was negative the second was anything but. Fulham had to go for broke and they absolutely dominated the second half. Bar a really good save from Rico at 2-2 weren’t really troubled. The negative defensive approach shifted to an attacking one and we saw glimpses of the football which saw us promoted last season. Jean Michael Seri (<strong>£5.0m</strong>) absolutely ran the show in Midfield completing 93% of his 107 passes and was the man of the match for me. Being on corners he also has the ability to provide assists and he created 3 chances in the game. He’s actually the sixth highest midfielder for chances created this season (<strong>48</strong>). Ranieri is going to have to fit Tom Cairney (<strong>£4.7m</strong>) into the side somehow. He looked his best and won the crossbar challenge on the night having seen two of his curling shots come back off the woodwork. Ryan Babel (£5.5m) caught my eye in his debut appearance against Spurs and the man with the red hair tucked himself in behind Mitrovic in a 4-4-1-1 formation. 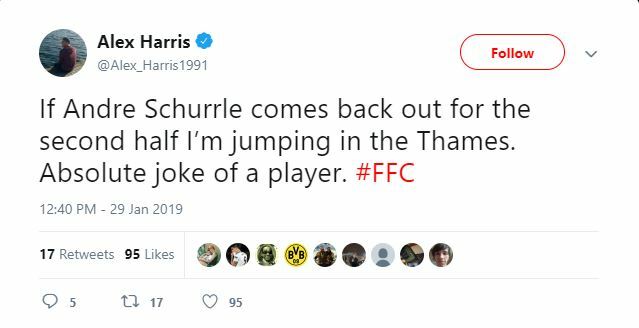 He finished the game with two assists but he could have had more having teed up one of Cairneys shots that hit the crossbar. Could be a nice differential for fantasy managers at only 0.2% ownership. Mitrovic (£6.3m) did not look an isolated figure and got some support from his teammates as well as balls being delivered into the box. He is hugely important to Fulham and this stat shows. He bullied Dunk and Duffy all second half and was rewarded with two headed goals to take his tally to 10 for the season level with the likes of Sterling, Richarlison and Hazard. His points tally has also surpassed the 100 point mark. Mitrovic remains top for goal attempts, shots in the box and second for shots on target. If the balls come in to feet and he gets the right delivery into the box managers may look to him as a fantasy option again. We’ve been chasing a place in the playoffs the last two seasons and although slightly different this year we still have the same task of hunting teams down. There was enough fight and passion shown in that second half that says to me we’re not giving up yet.